This cracker cups were so cute. I saw the recipe at cookingbread.com. I did little changes to the original recipe and the result was fabulous. It doesn’t contain butter and so you can eat it guilt free. 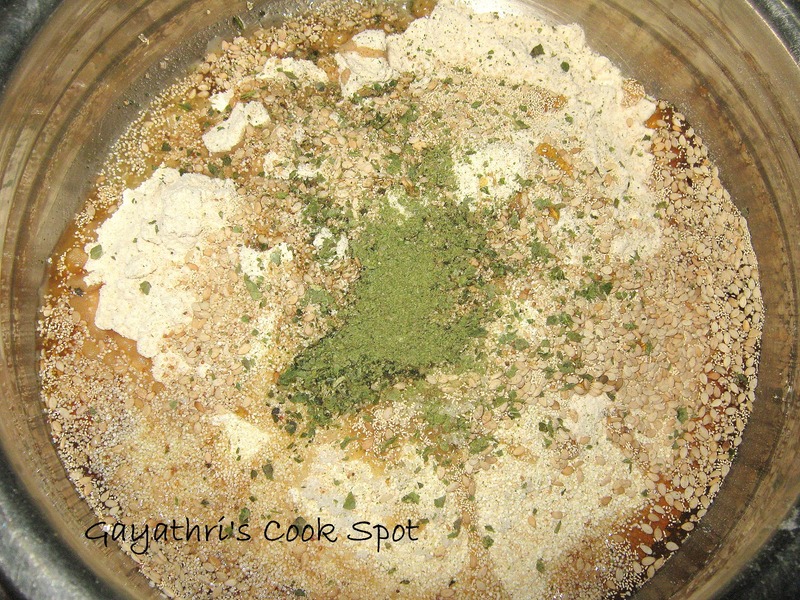 Next time I would love to prepare it using only atta and I would never use poppy seeds because it makes me feel drowsy. After I finished the cups I had some dough left. I just rolled it and cut it with a star cookie cutter to get lovely cookies. My daughter enjoyed munching those cookies. 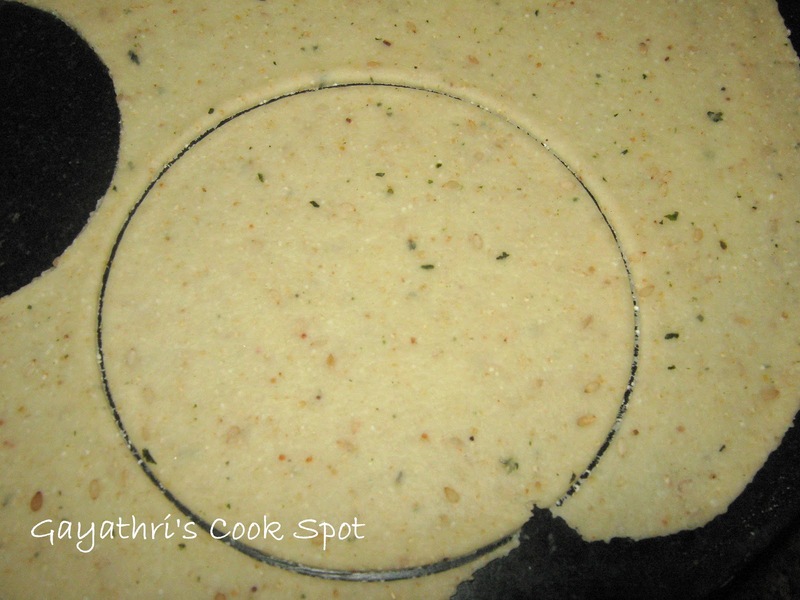 The recipe is very easy to prepare and I loved the whole process. I had some Paneer and potato masal from a previous dish. So I used it as a filling. You can go for any filling. Treat your guests with these cute cups and you are sure to win their hearts. Mix all the ingredients except water in a bowl. 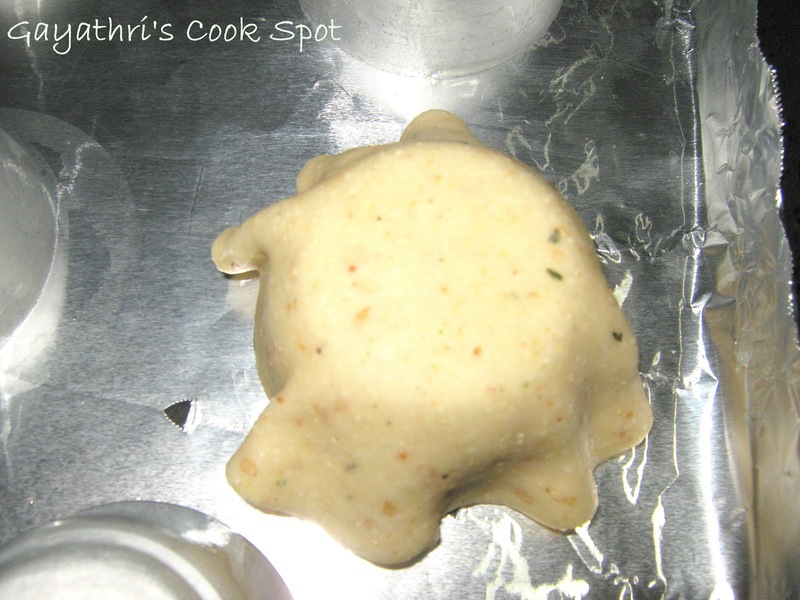 Add water to prepare a soft dough. Knead it for 15 minutes to make it smooth and elastic. In another bowl apply oil and keep the prepared dough inside. 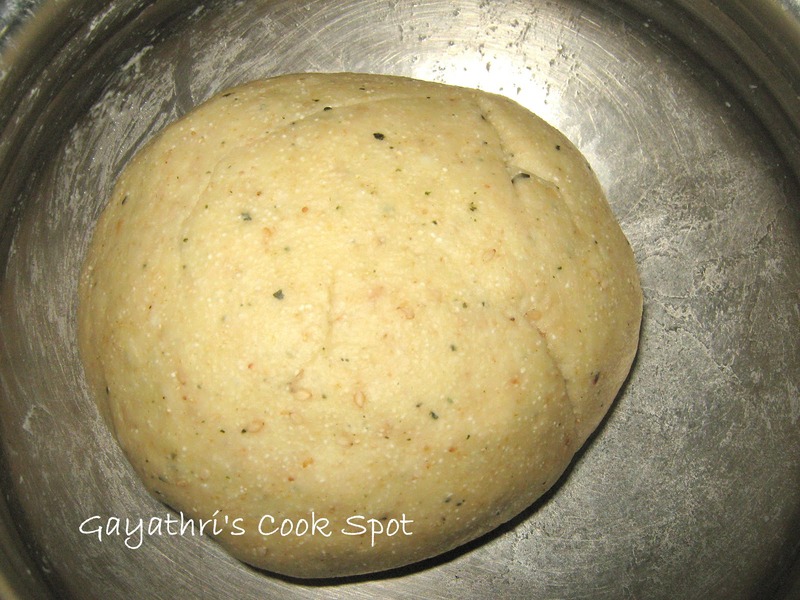 Roll to coat the dough with oil. Cover the bowl with cling wrap and set aside for 1 hour. Deflate the dough. Make small balls out of the dough. Apply a little oil on the rolling board and pin. 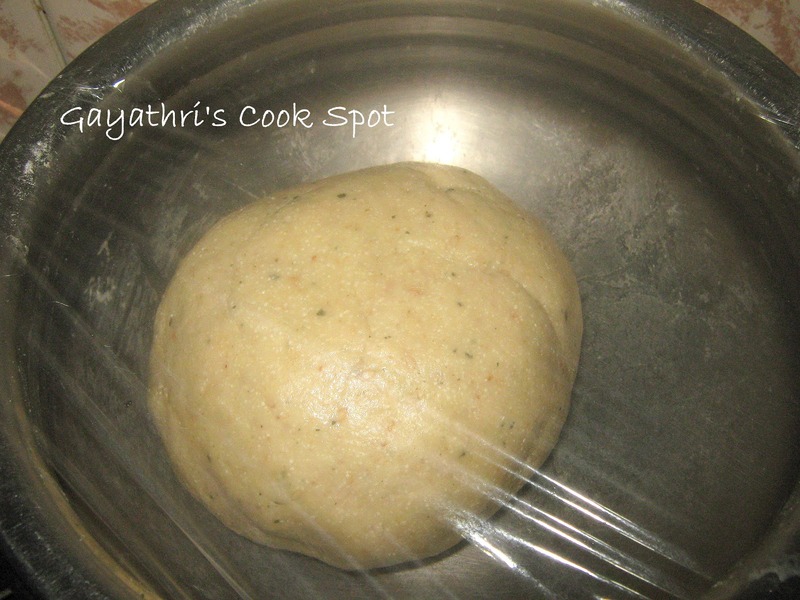 Roll the dough into thin circle. The cups will be crisy only if the circle is very thin. Cut out a circle using a small bowl as a template. 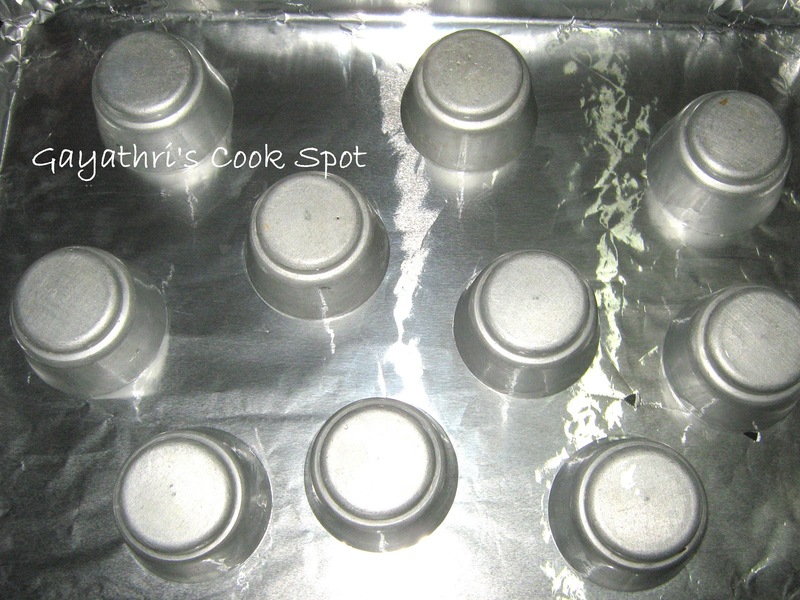 Grease small aluminium cups and keep them inverted on a baking tray. 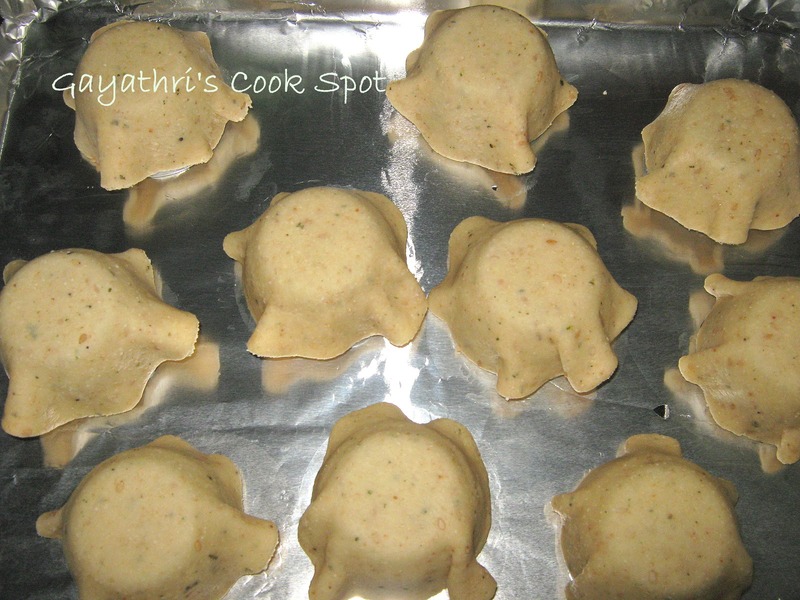 Place the rolled out dough on each cup and shape them. Preheat oven to 200C. Bake the cups for 15 minutes / till they are golden brown. Remove from oven and let it cool. Slightly tap the cups to remove the cracker cups from mould. Serve it with any filling. Wow, gr8 Gayathiri, eppadi unganala time spend panni porumaiya eppadi seiya mudiuthu? ur daughter is very lucky! keep rocking! WOW! Looks great! You are awesome! 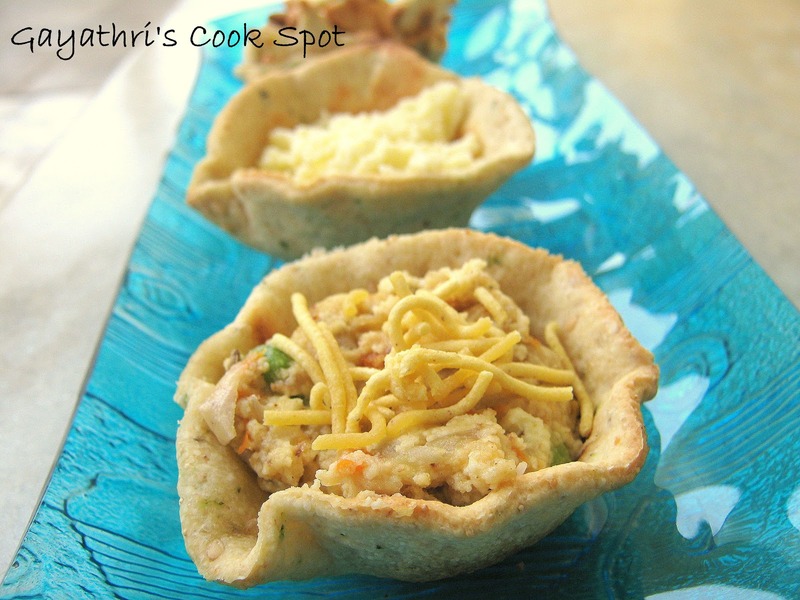 Cracker cups and crackers both look delicious.Superb Gayathri. 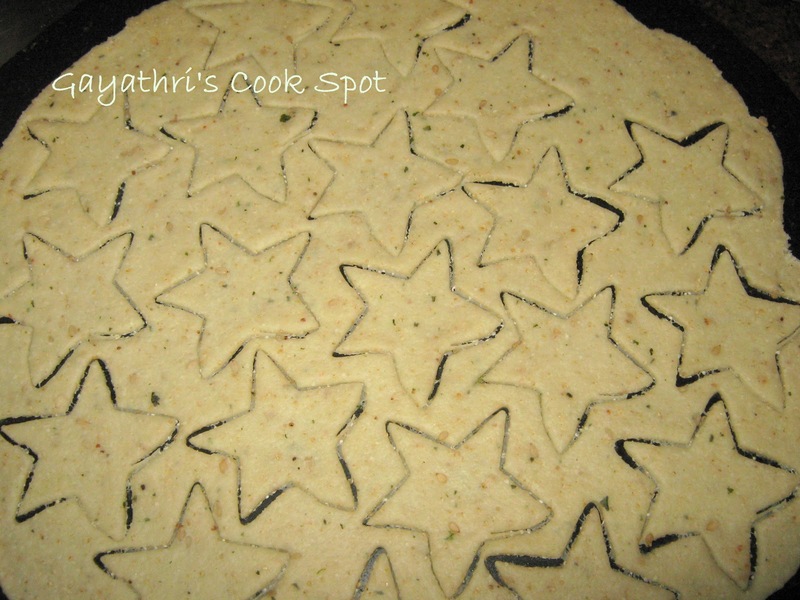 You rock Gayathri…..what a splendid way to treat guests….ur daughter is very lucky. 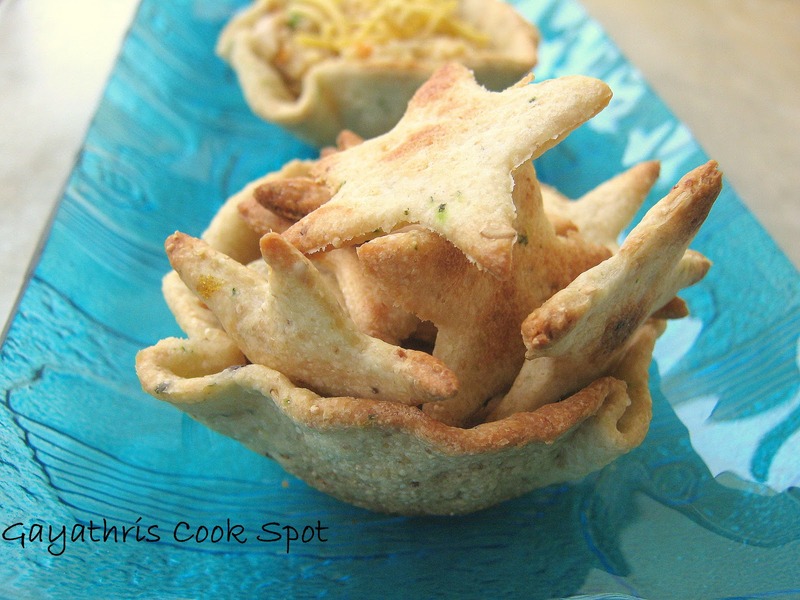 So cute and healthy cracker cups..Guilt free snacks for the sure..
Those are fabulous! What a nice way to load up on toppings too. 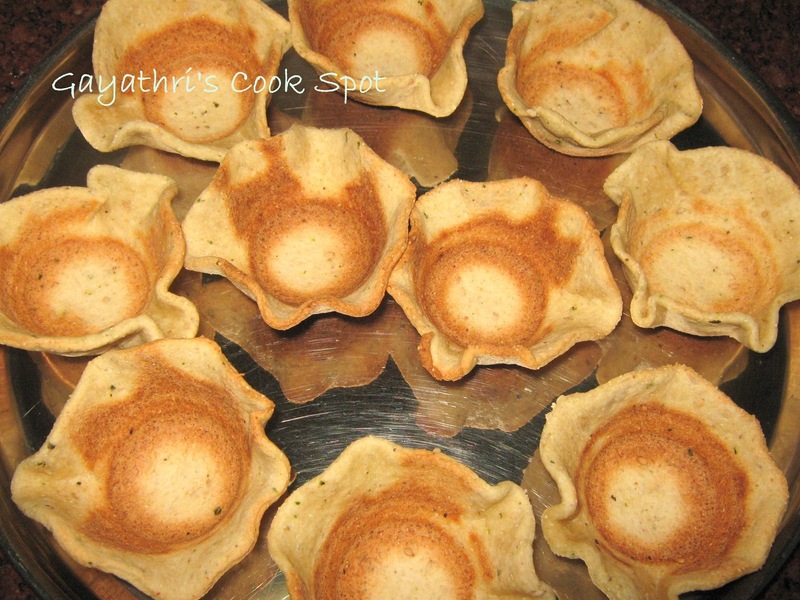 Hi dear, love the cups and the cookies too, u can play with many variety of fillings using these cups. Cute pastry and pretty cups. Very tempting! very cute.. these wud be ideal as a base for chat..
Wow great, crunchy and crispy. wowww looks beautiful..u r rocking dear!! oh!it looks crispy n yummy.. Totally cool n innovative !! Looks delicious Nice and crispy. cups looks so cute…very crispy too…must try one day !! new recipe and both the cups and stars look cute! they are super cute! luv the details in the post too. Wow! It looks wonderful.Im glad I came across your blog.Im making this soon.